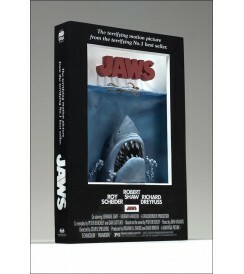 Jaws is one of the highest-grossing films of all time. The story of a small New England town terrorized by a shark gone berserk made people all over the world think twice before jumping into the ocean. Now McFarlane Toys pays tribute to the 1975 blockbuster with McFarlane's Pop Culture Masterworks. 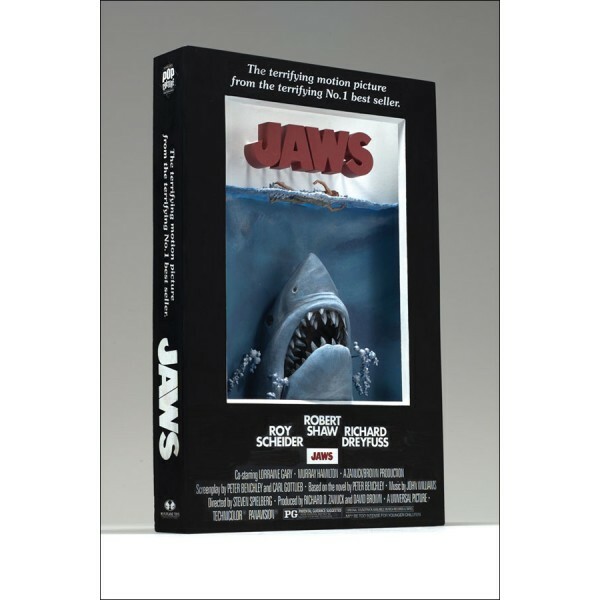 The original poster from Steven Spielberg's iconic Jaws comes to life as never before in a 8 1/2 x 12 3/4 by 2-inch (21.60x32.4x5.10 cm) format.